This is a beautiful angel carved from magical Sodalite! 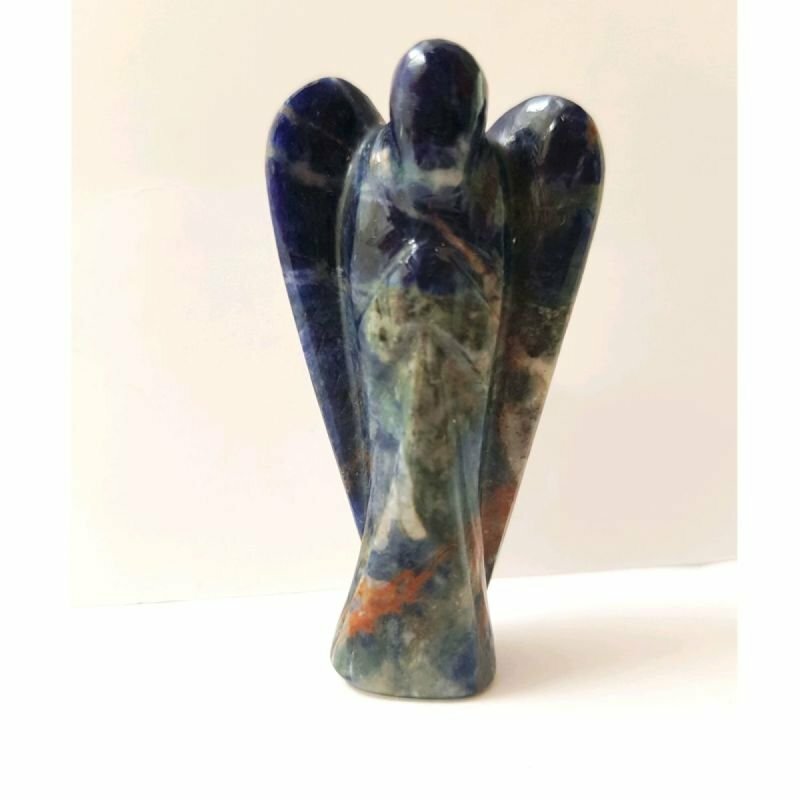 This angel measures approximately 2.25" by 1.25"
Sodalite is great for balancing the metabolism, calcium deficiencies, detoxing and boosting the immune system! This stone can also help with water retention and weight loss too!